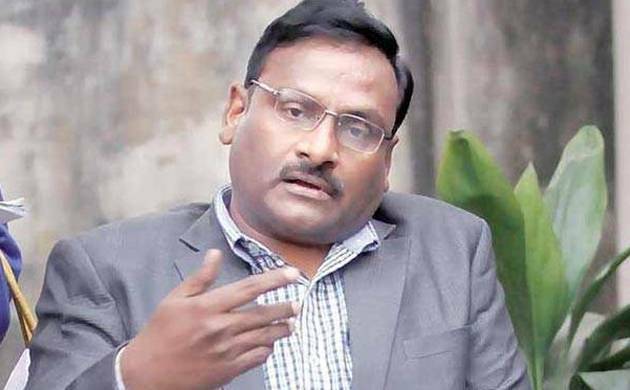 Life sentence given to suspended Delhi University professor GN Saibaba and others by a court for their alleged Maoist links, was criticised by an independent panel comprising of teachers and students on Thursday. The Gadchiroli Sessions Court in Maharashtra had, in March, sentenced Saibaba, a Jawaharlal Nehru University (JNU) student and three others to life imprisonment for their alleged Maoist links. The panel was formed in support of Saibaba, who is differently-abled. Releasing a booklet, G Haragopal, a member of the Committee for the Defence and Release of GN Saibaba, alleged that with the conviction of the professor, democratic values such as freedom of speech, thought and ideas were "on trial". "The judgment in the case is a first in the recent times where someone has been punished on the basis of electronic evidence," he said. He claimed that noted criminal lawyer Ram Jethmalani has agreed to defend Saibaba before the Nagpur bench of the Bombay High Court. The booklet, prepared by lawyers and titled 'When Prosecution's Case Becomes The Judge's Onus', questions various "loopholes in the judgment". "FIRs have been written in different inks, extra paragraphs have been added, besides other irregularities. Confessions have been made in Marathi language by two adivasis (tribals) who do not know the language. The booklet points out several other loopholes in the judgment," said Pankaj, a lawyer involved in preparing the booklet. Another activist, Sumir Chakravarty, alleged that political authorities were responsible for what had happened. "It is clear that there were political forces behind the judgment," he said.